Sci-Fi Bathrooms - The Newcastle Bath Co.
Technology has crept into nearly every aspect of modern life, including the bathroom. The latest in technology has brought us fun bells and whistles which can be added to you bathroom. These advances mostly are around sensor lighting, in drawers, around mirrors, under vanities and even in shower heads and taps. Bluetooth speakers in the bathroom are fun, as well as the fancy bidet toilets and electric louvers. But what of the bathroom of the future? What are the technologists dreaming up for our future sci-fi bathroom? 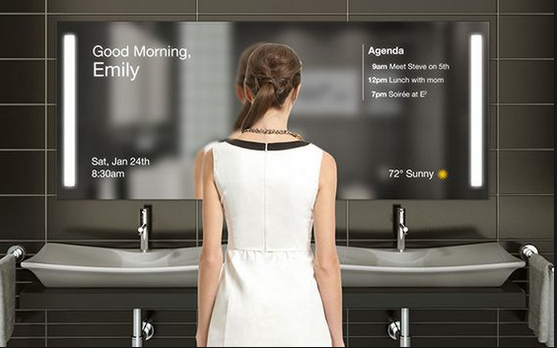 AR and AI are here (such is Amazon’s Alexa) So how will they impact the bathroom? A company in the UK, Digital Bridge, did a survey and found that the majority of people (especially the younger generation) feel the bathroom is outdated. A list was compiled as to the top 10 bathroom innovations of the future….and its exciting and terrifying. 2. To solve that problem of seeing the back of your head when styling your hair, we will have a hovering drone mirror. Fantastic! 8. Towels will also be outdated with a full body air-dryer. Sounds divine. 10. An ambient display that allows you to make a cup of coffee and answer the doorbell from the shower. It all sounds a little Jetsons right? A high-tech bidet-style toilet with Bluetooth capability. Who knows what the future will hold for our humble bathroom. Most of these ideas are a bit like the fashion designs you see on the catwalk. They may filter down to the average jo in essence or in some form, but they’re never as whacky as on the runway.